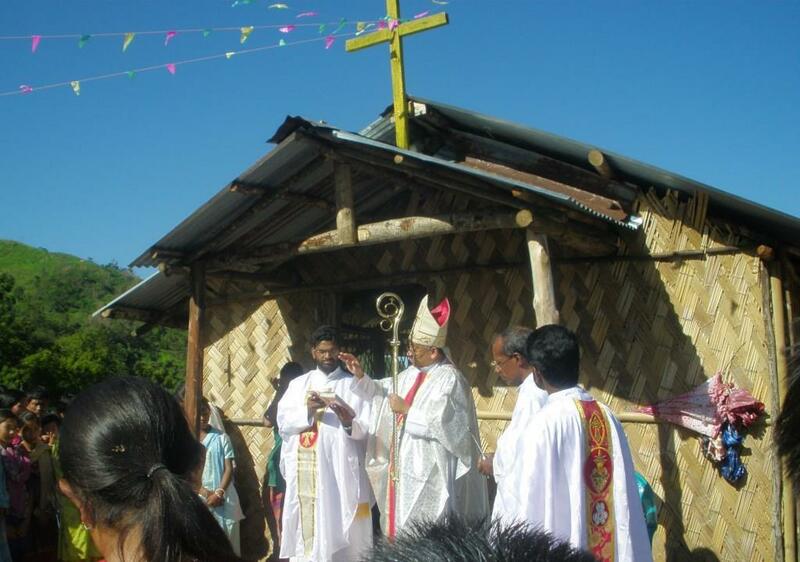 6th July, Pongkong, Lazu: Bishop George blessed and inaugurated the newly built St. Joseph’s church at Ponkong village in Lazu Parish on 12 June, 2013. Pongkong is a small Catholic community of Lazu people under Lazu Parish. It was a long standing dream of these people to have a better place to have their Mass and prayers. This new Church fulfills that dream.